Appropriate cooling improves productivity, protects products, and prevents accidents, but it’s important to get it right. 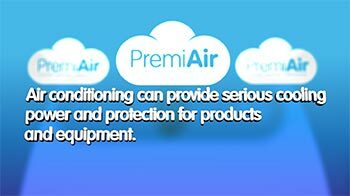 PremiAir can advise on all types of cooling system including evaporative cooling systems saving you money, energy, and disruption. Evaporative cooling is a highly effective alternative to conventional air conditioning. It has many advantages, including very low running costs, cheaper installation, and a fresher, more productive environment. Read on to discover more. Ventilating a space can be a very effective way to cool it, and may be all you need. Modern air conditioning systems are far more energy efficient than they used to be, but there are a bewildering number of options available. At PremiAir we help you find your way through the maze.